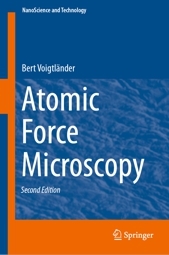 This book explains the operating principles of atomic force microscopy with the aim of enabling the reader to operate a scanning probe microscope successfully and understand the data obtained with the microscope. Covering both fundamental and important technical aspects of atomic force microscopy, this book concentrates on the principles the methods using a didactic approach in an easily digestible manner. While primarily aimed at graduate students in physics, materials science, chemistry, nanoscience and engineering, this book is also useful for professionals and newcomers in the field, and is an ideal reference book in any atomic force microscopy lab. Supplementary material will be posted here.